When Gen. David Petraeus took over the Afghan war effort, the conflict took a violent turn. Especially that part of the war launched from above. Petraeus relaxed the restrictions on air power, and strikes from sky returned to a level all-but-unseen since the war’s earliest days. 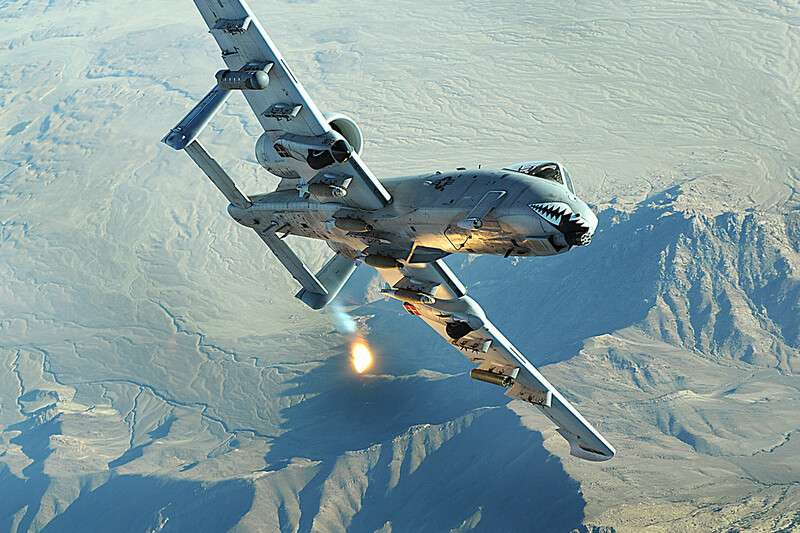 In October of 2010, coalition planes unleashed their weapons on more than 1,000 missions. Now, Petraeus is gone, and the air war — like the rest of the conflict — has cooled a bit from its fever pitch. In the three full months since Gen. John Allen assumed command, strike sorties are down more than 25% over the same period in 2010: 1,631 attack runs, compared to 2,198 last year, according to U.S. military statistics. In October, the drop was particularly stark: 616 strike sorties, down from 1,043 during the previous October. It’s a particularly remarkable trend, given that there are more aircraft than ever patrolling Afghanistan’s skies. And it may be a sign for how the rest of the Afghan war is waged. Military officials say there’s more than a change of tactics at work here. They claim that facts on the ground are determining the pace of the air war. In particular: The insurgents are tired from all the hits they’ve taken. The Taliban and its associates “have taken a real pounding this spring and summer, so they are not really meeting us on the battlefield, especially in large numbers, as they have in the past,” e-mails Lt. Col. Jimmie Cummings, a spokesman for the U.S.-led coalition. The militants “instead have upped their use of IEDs [improvised explosive devices], which is putting civilians in greater harm” — and can’t be countered with air strikes. Petraeus took over the war with tens of thousands of “surge” troops at his back, who poured into Taliban-dominated regions, sparking firefights along the way; attacks on coalition forces almost instantly doubled. Now, those surge troops are coming home. Four thousand have redeployed since July, and another 6,000 will redeploy before year’s end. Fewer ground forces generally means fewer skirmishes; enemy attacks are down to about 3,000 per month, from approximately 4,000 last year. Fewer fights means fewer planes dropping bombs to bail out troops under fire, so the logic goes. But that’s hardly an axiomatic approach. The Afghan war was fought for years with a relative handful of troops — less than a third of the forces currently patrolling the country — backed by a massive air war. In two particularly vicious months in 2008, the American aircraft unloaded 587,000 pounds of ordnance. Under Gen. Stanley McChrystal, those numbers reversed: more troops, fewer air strikes. His successor, Petraeus, kept the troops, but went back to a 2008-style air war. It’s hard not to notice that the number of these aerial attacks went up as soon as Petraeus took the helm of the Afghan campaign, and dropped as soon as he left. (There was a similar pattern during Petraeus’ tenure as leader of the Iraq war effort.) The cliche surrounding Petraeus involves the general as promoter-in-chief of counterinsurgency tactics — lots of ground troops, who focus on winning the population’s loyalty instead of wasting its foes. But Petraeus’ conception of war was always more violent than his myth-makers’. And it involved more than just boots on the ground.